Do I feel like bombing anyone today? President Trump said during a Cabinet meeting on Monday that he would decide within the next day or two how to respond to a devastating chemical attack in Syria over the weekend. Saturday’s strike, which killed more than 40 people, was almost certainly carried out by the Assad regime, which is trying to pound into submission some of the last rebel strongholds in the country. Government forces deny using chemical weapons, as does Russia, which backs Assad in Syria. Earlier, Defense Secretary Jim Mattis said that the U.S. would not rule out military force against the Assad regime. Just over a year ago, it was a similar chemical attack that inspired Trump to order dozens of Tomahawk missiles launched at a Syrian airfield. But since then, Syria has largely faded from view for the Trump administration, as the Assad regime has continued to kill thousands of rebels and civilians by more conventional means. As Assad’s latest latest rampage shows, he does not appear to be cowed by threats from the West, which have been mostly ineffectual throughout the country’s seven-year-long civil war. 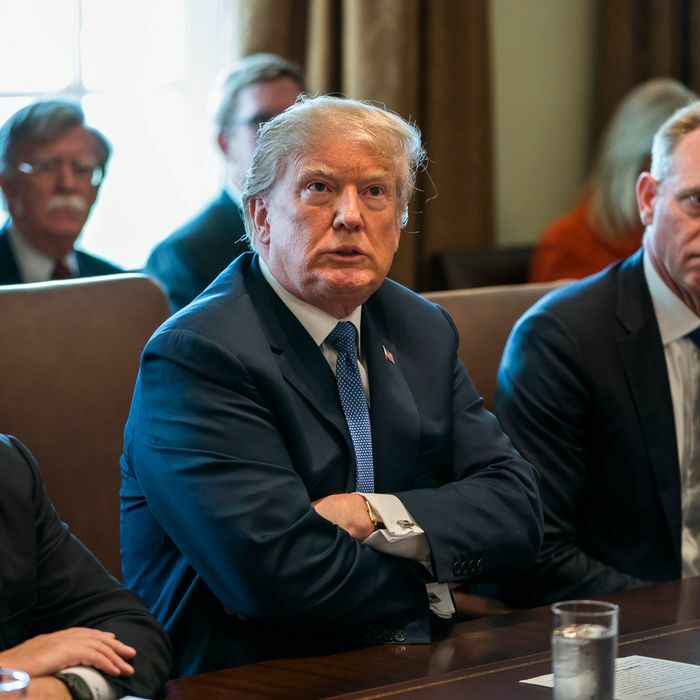 Last week, Trump advocated pulling U.S. troops out of the country altogether, a drastic move strongly opposed by top military officials.